After the long wait, the tenth edition of the iPhone is finally available in India. It is the first time that iPhone fans are able to buy it in the first phase itself as no other iPhone was available for buying in the first round! The pre-orders for the much-awaited phone commenced in the last week (October 27) and the stock couldn’t even last for 15 minutes. So, here’s your chance to grab iPhoneX at a special discount from TataCliQ. The tenth-anniversary edition phone is the first one to sport an OLED Screen with Dolby Vision and HDR10 support. It will have a super retina edge-to-edge 5.8-inch display with 2436 x 1125 pixels resolution. Bidding goodbye to the home screen button, this will be an all glass phone. Face ID is yet another interesting feature that will enable the users to have a face lock. Furthermore, this newly launched phone runs iOS 11 and is powered by the company’s latest A11 Bionic chipset. iPhone X supports wireless charging and comes with a dual 12MP rear camera with dual optical image stabilization and 7MP front camera. There are two variants of the phone according to the internal storage capacity- 64 GB and 256 GB. While the 64 GB model is priced at Rs 89,000, the 256GB carries a price tag of Rs Rs 1,02,000. If you pay the bill using Citi credit or Citi World debit cards, you might get an instant cashback of Rs 10, 000. Making the deal even more interesting, Flipkart is also giving a buyback offer value up to Rs 52,000 when you update your iPhone. The offer guarantees buyback value of Rs 52,000 to customers on their iPhone X when they upgrade to a new iPhone next year (is valid on purchases made during a certain time period only). Furthermore, Reliance Jio is also offering amazing buyback discounts. 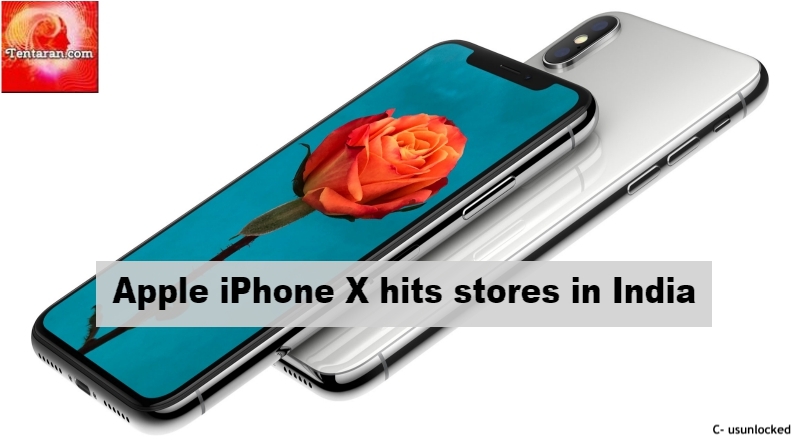 You can get up to 70% discount on iPhone X if you purchase it from Reliance stores or Amazon. The offer is available from November 3 to December 31, 2017. It is applicable to both new and existing Reliance Jio subscribers. Grab the deal now! ← How to take care of your hair in winters?